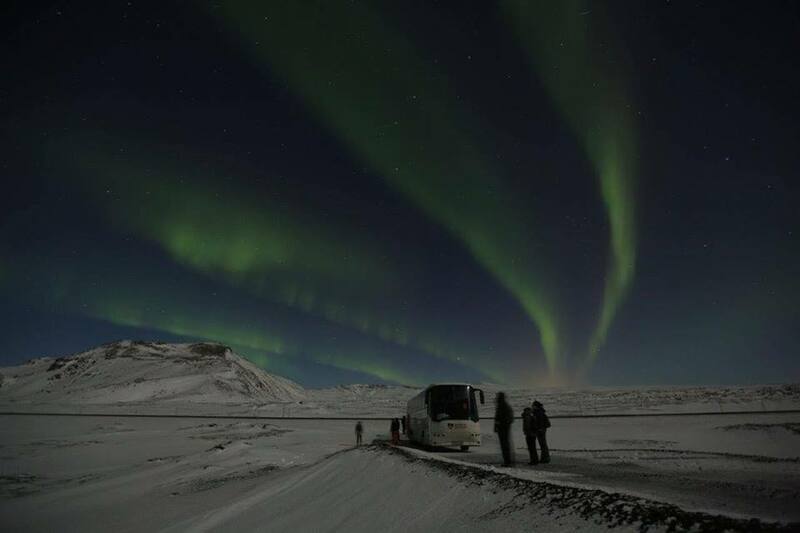 “I must to be informing you that due to unfavourable conditions we are to be cancelling your Northern Lights Tour this evening” said the Icelandic hotel receptionist. It was the best news we could have hoped for. The “activity forecast” was low for that Friday night, but if the tour went ahead and we saw little or nothing, that was that. But a cancellation! Great news! We were then automatically transferred at no additional cost, to the Saturday night – “activity forecast” 5 out of 8. Much more promising. These few days in Iceland had been spectacular. Coming from Europe’s southern coast up towards the Arctic was dramatic. Andalucía had been sprinkled with snow the week before, and it had settled in drifts in higher areas (giving rise to extensive mutterings, objecting to the UK government’s withdrawal of the pensioners’ Winter Fuel Allowance from those who had chosen to emigrate to countries with a higher average winter temperature). 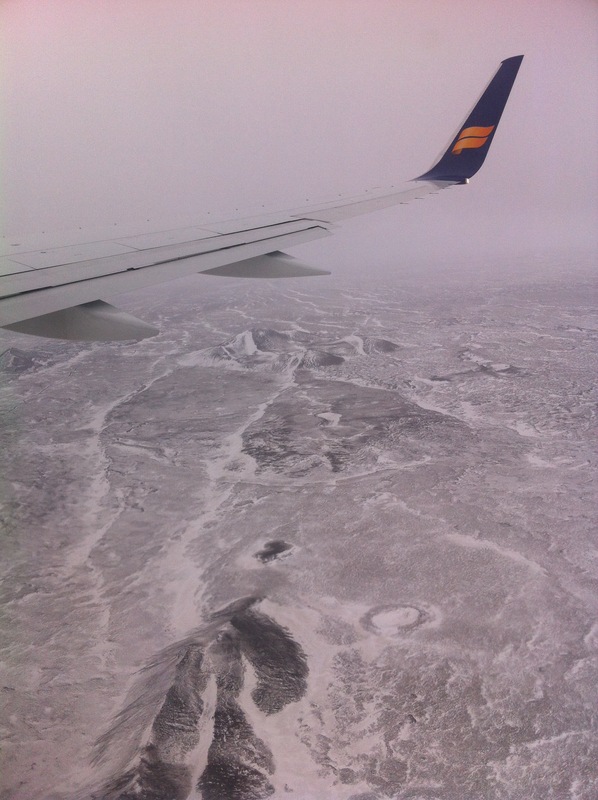 Flying over southern Iceland’s glaciers and landing in Reykjavik in February highlighted what living in snowy and icy conditions really means. Both of us had been to Iceland more than once before. This mini-break was all about the Northern Lights – the last remaining item on my Bucket List. We’d both been slavishly tracking the Aurora Borealis Activity Forecast for weeks, and comparing it against the cloud cover. The ideal, of course, would be High Activity and minimum cloud. Friday night, the night of our booking, was not looking great. We agreed that if it wasn’t a great sighting, we’d pay to go again on the Saturday if there was room on any of the coaches. We crunched through the snow along the sea front into the centre of Reykjavik and asked at the Tourist Information Office whether they thought there’d be room on Saturday. With the promising Activity Forecast, Reykjavik Excursions were laying on every bus they could for Saturday, so there were still tickets available. “Shall we just buy them now?” we asked each other. The helpful Icelandic woman looked at our booking voucher. “No don’t book” she said. “You are with Reykjavik Excursions anyway, and tonight’s trip is likely to be cancelled so you will get a free trip tomorrow anyway.” We had assumed that the free “second chance” only kicked in if the weather was too bad to go out, whereas in fact the company does not go out if the chance of a good viewing is low – a great example of excellent customer service. A thousand excited tourists in twenty coaches gathered at the bus station. Already there were some green lines appearing in the sky, visible even from the city centre. Each driver set off to a different isolated viewing location. Our bus parked beside an out-of-town roadside coffee-shop and we spilled off onto the icy road, optimistically clutching phone cameras and cheap happy-snappers, despite the guide explaining on the bus that we would mostly just get black pictures. There are two problems. One is our eyes, and the other is a phone-camera. We’ve all seen photos and documentaries of the Northern Lights. So we have an image in our mind of bright waves and curtains of red and orange and blue and green. The Northern Lights are streams of particles, which together are bright and visible, but individually are very pale, and don’t trigger the “rods” in our eyes which read colours. We have “cones” which work in daylight and “rods” which work in the dark, and the rods especially need much brighter levels of light in order to open up and start seeing. So a film-maker can be shooting the lights, and only when viewing the shots later can they see the range of colours captured by the high-quality lens. “Live”, they may only have seen green and white. So a very good camera with a really REALLY good lens will see much more than the human eye. And what about the iPhone? Significantly more useless than the human eye! I have 80 shots which just look black, despite the fact that I was seeing good strips of green and white light and even a tiny bit of blue! Putting a few shots through an enhancement programme afterwards brought out a bit of green, but nothing worth showing anyone! But it wasn’t all about capturing it on one iconic photo to put on Facebook. Well ok, it was going to be about that, but hey, we have to roll with the punches! I stood next to a professional photographer and her photos showed the Northern Lights much more as we had seen them, plus a bit more. But enough of the technical stuff (ie the excuses as to why my photos are rubbish!). The point was the experience. This was not a “Kodak” moment, it was a LIFE moment. “What is this life if, full of care, we have no time to stand and stare?” (William Henry Davies, “Leisure”, 1911). Carol and I tumbled out of the coach, more excited than 8-year olds at DisneyLand. We were the first to scramble over the snow drifts and to head off into the darkness. For a few minutes it felt as though we were the only ones there on the crunchy snow in the dark Icelandic night. Above us, something began to happen which the scientists would describe as “particle streams” and we would describe as “magic”. A shimmering green arch of light made a perfect semicircle through the sky, dancing, thinning, thickening, becoming stronger, then weaker, waving slightly though maintaining more or less the same trajectory. Ahead, over a hill, another stronger line of green shot straight upwards like a laser. And to the left appeared four horizontal lines of green, wafting gently, occasionally merging then separating. A blue mist hovered around one end of the arch, causing arguments between those who could make out the blue (people whose eye “rods” opened at a lower level of blue than others), and the exasperated others, swivelling and staring and dejectedly asking “Where? What blue, where?”. Pointlessly, we aimed our phones roughly towards the lights, and despite nothing appearing on the screens, pressed the shutters. Mostly though, phones and cameras remained in pockets. This was about standing, and staring, and marvelling at what Nature is and does. We 45 insignificant specks on the ice. All of us wrapped like Michelin men. Standing in silence. Staring. Wondering. Awestruck. Gaping. There were no words. It wasn’t the most spectacular display there had ever been (the activity level had dropped to 4), but the Northern Lights were up there, waving around in the sky, this technically explicable but fundamentally inexplicable wonder of the world, spreading across the sky above us. We took time, we stood, we stared. Then back to the Reykjavik hotel, the next day to Gatwick, and the day after to Málaga. From south to north and back again. The subtle difference between something making me happy, and me making myself happy because of something! ¡Uy! “Me alegro de verte” – literally, I make myself happy due to seeing you. “Me alegra verte” – literally, Seeing you makes me happy. Same but different. “Me alegra que vengas con nosotros” – literally, It makes me happy that you will come with us (the “que” triggering the subjunctive in this one). “A nosotros nos alegramos mucho de ésta noticia” – We made ourselves happy due to this news. “A nosotros nos alegró mucho la noticia” – This news made us very happy. 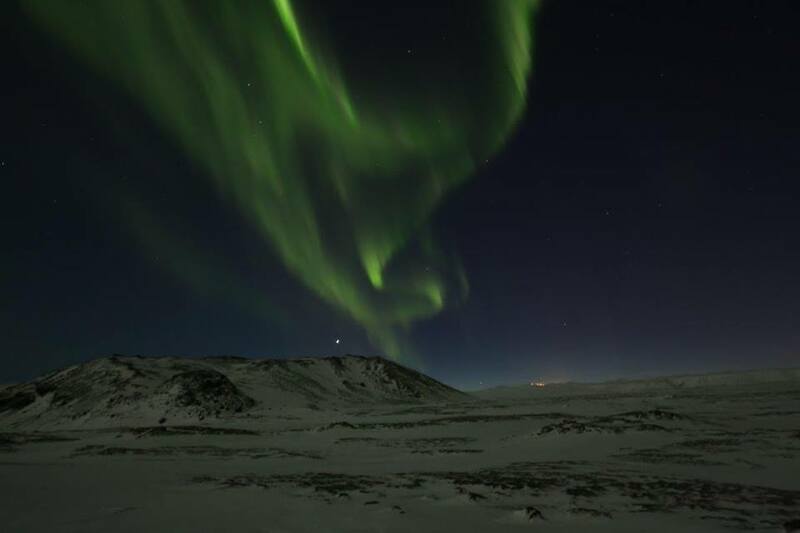 This entry was posted in Spain and tagged Iceland, learning Spanish, Northern Lights, Spain by tamaraessex. Bookmark the permalink.